Vietnam Retail Banking Forum 2018, which is co-organized by Vietnam Banks Association and IDG Vietnam, is an annual influential conference and exposition in the field of retail banking in Vietnam. The forum brings together senior executives, CIOs, CTOs, CSOs, CROs, and technology experts to meet and have in-depth discussions. Join Vietnam Retail Banking Forum 2018 and reap benefits to access senior executives, Information Technology experts in the bankingsector, thereby having in-depthdiscussions about the current development of retail banking in Vietnam, as well experiencing breakthrough technology roadshows from world-leading technology solution providers. Recognized as a prestigious and premier conference in Vietnamese retail banking sector, Vietnam Retail Banking Forum is held to establish partnerships between banks and other senior executives like CIO, CSO, CRO… to share thoughts about the burning issues as well as get update about the latest technology trends in the industry. Vietnam Retail Banking Forum gathers diverse thoughtful leadership speakers who are key influencers in banking industry, CEOs, CIOs, CSOs, IT Directors and technology professionals to discuss on the future of retail banking as well as opportunities and challenges towards Banking system in Vietnam. Also, speakers will share applicable solutions and best practice sharing, especially that are introduced for the purpose of transforming IT infrastructure towards secure and efficient operation for banks in the new context of integration. 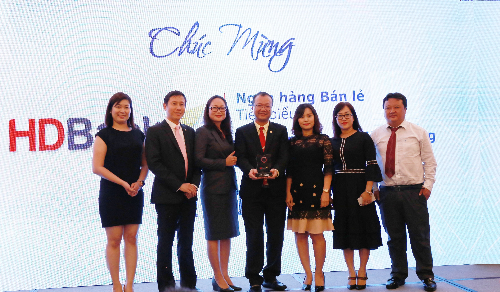 Vietnam Outstanding Banking Awards 2018, which is co-organized by IDG Vietnam and Vietnam Banks Association, takesplace concurrently with Vietnam Retail Banking Forum. It aims to recognizebanks that stand out with excellent performances and significant contributions to the development of the bankingsector in particular and financial sectorin general. In addition, to recognize enormous contributions of Fintech companies to the banking-finance field, the Awards Board Judgement decided to honor some typical Fintech companies in the awarding ceremony this year. From the expressive architecture outside to the authentic signature New World Saigon services inside, this New World hotel in Saigon, Vietnam welcomes you to experience the new definition of contemporary luxury, located in the new central business district, adjacent to the National Convention Center of Ho Chi Minh City. The New World Saigon is a breathtaking Vietnam hotel that is the perfect place for regional and global meetings, incentives and any type of gathering.